BELGIUM: Belgium technology centre OWI-Lab is working with operator C-Power and the Brussels university VUB to investigate the ageing process of foundations at the 325MW Thornton Bank projects. Sensors have been fitted to two turbine substructures at the project to measure "external influences" – weather, sea and seabed conditions – and turbine vibrations. C-Power said it expected the foundations to last 30 years, based on modelling prior to turbine installation in 2013, OWI said. OWI-Lab developed a data warehouse that collects all different data sources, which can then be analysed. "Research is needed into the ageing process in offshore turbine foundations, not only for maintenance purposes but also to ensure smarter designs for wind farms in future," OWI-Lab said. The three-year old projects is located 30 kilometres off the Belgian coast. It comprises 54 turbines: 48 Senvion 6.2MW machines and six Senvion 5MWs. 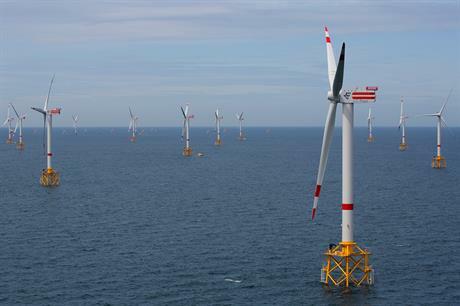 It was Belgium's first offshore wind farm.